I bought this fascinating book from a charming little shop in Corfe Castle at the weekend; right at the end of our spontaneous bank holiday jaunt to Dorset. I don't know about you but I adored Enid Blyton's books as a child. She wrote hundreds of books and I read most of them. From The Enchanted Wood and The Wishing Chair, The Famous Five and The Secret Seven to the St Clare's and Mallory Towers series. To me, the woman herself is every bit as magical as the characters she created. About a week or so ago, we decided that we NEEDED to breathe the sea air and feel sand between our toes just one more time before autumn takes it's grip. After some frantic 'phoning round, we managed to secure ourselves a few nights on a campsite at Harman's Cross, not far from Swanage. 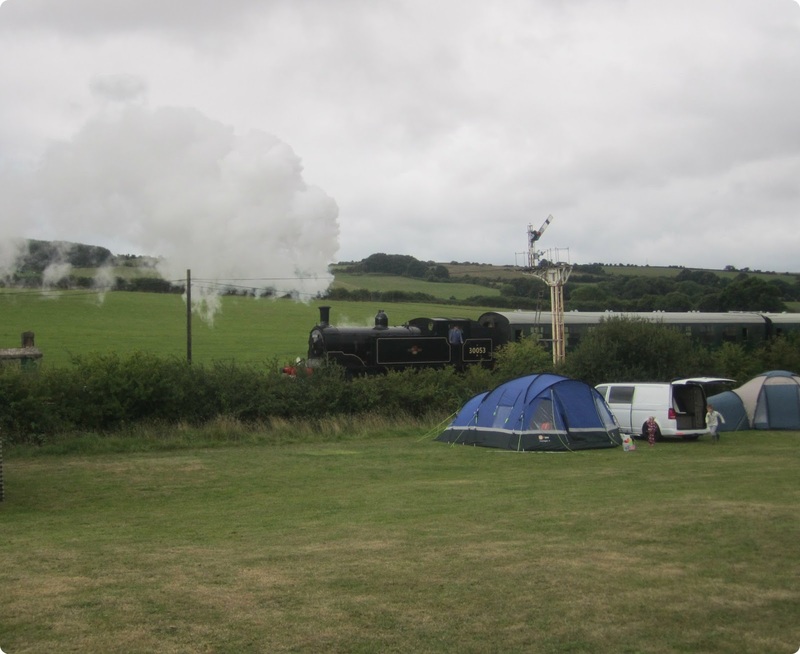 We knew the campsite was adjacent to one of the stations on the Swanage Steam Railway line but didn't quite realise how close we would be to the track! Such a glorious sight! I challenge the most dour grown-up not to beam and wave madly as a gleaming steam train comes puff-puff-puffing into view! 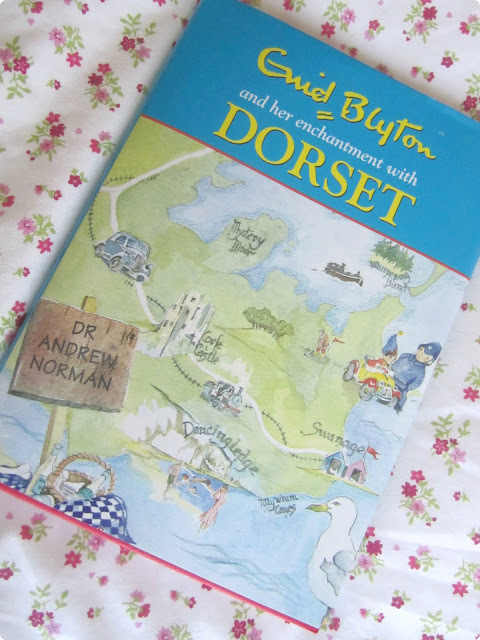 Enid Blyton first visited Dorset in 1931, at the age of 33, when she was pregnant with her first child. She later returned time and time again, spending many holidays in the area. Her deep and abiding love the for the county inspired her to write the Famous Five series of books. 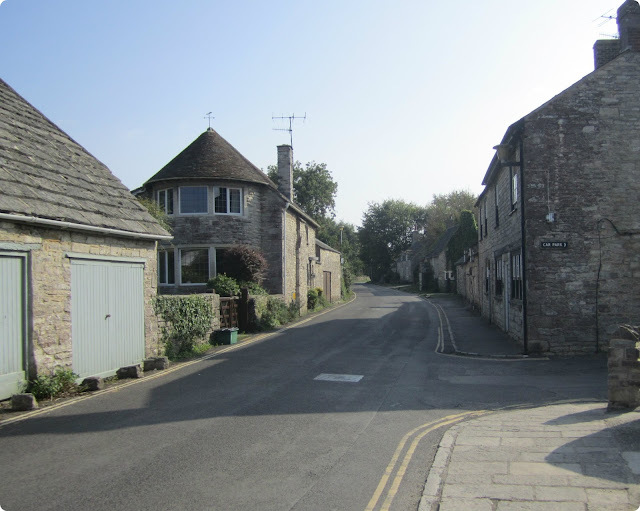 "One day we took the (steam) train to the little village of Corfe, with it's narrow, twisting streets and small grey stone houses." I love Corfe. Strolling slowly around the pretty streets with the sun on your shoulders, peering into cottage windows, is my idea of bliss. 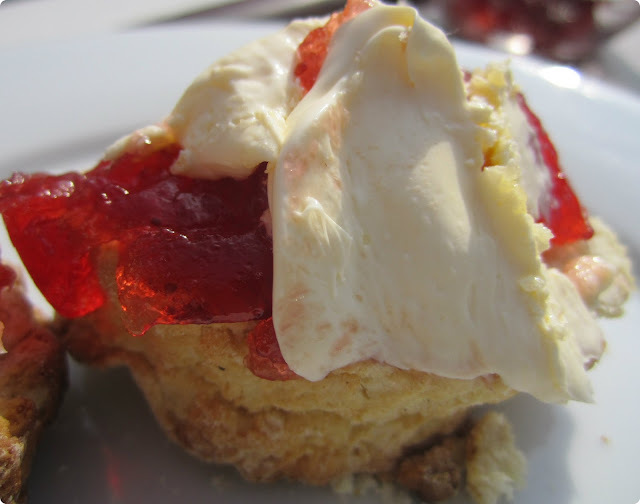 A pause for a cream tea is of course absolutely necessary. 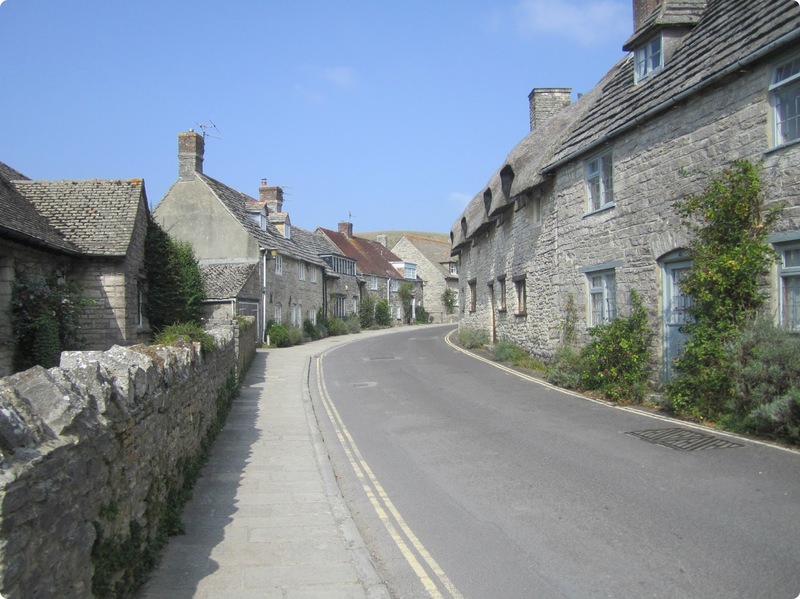 Towering over the village is Corfe Castle. "As I drove along in my little car, I saw, far away, a rounded hill, and on it was the ruin of an old, old castle. I took the first road that led to it, and soon came to the hill. On the top were the remains of the castle itself. Round the slopes were the battlements with their slit-like windows. At the bottom of the hill was a deep ditch which once upon a time had held water and formed a moat all around the castle." 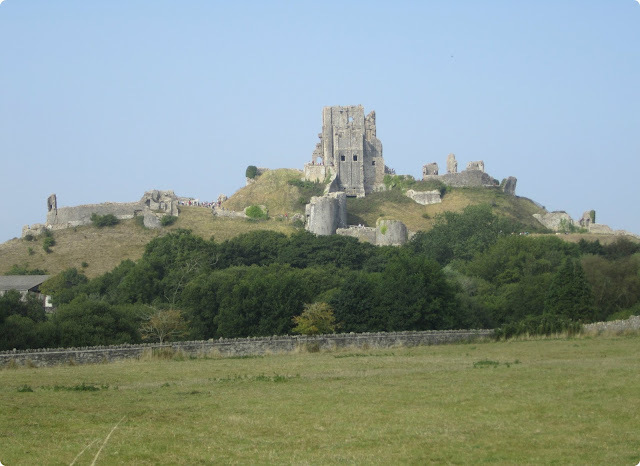 It is suspected that Corfe Castle was the inspiration for 'Kirrin Castle' mentioned in Five On A Treasure Island and Five On Kirrin Island Again. 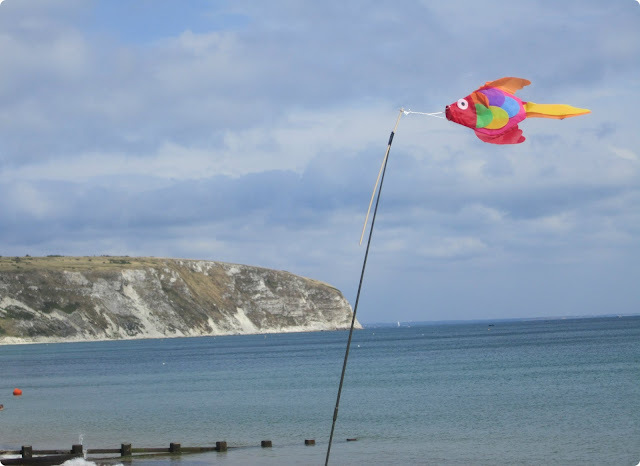 Enid and her daughters often stayed in Swanage. "a great wide bay of forget-me-not blue, with hardly a ripple or a wave, except just at the edge. Behind rose the glorious hills". 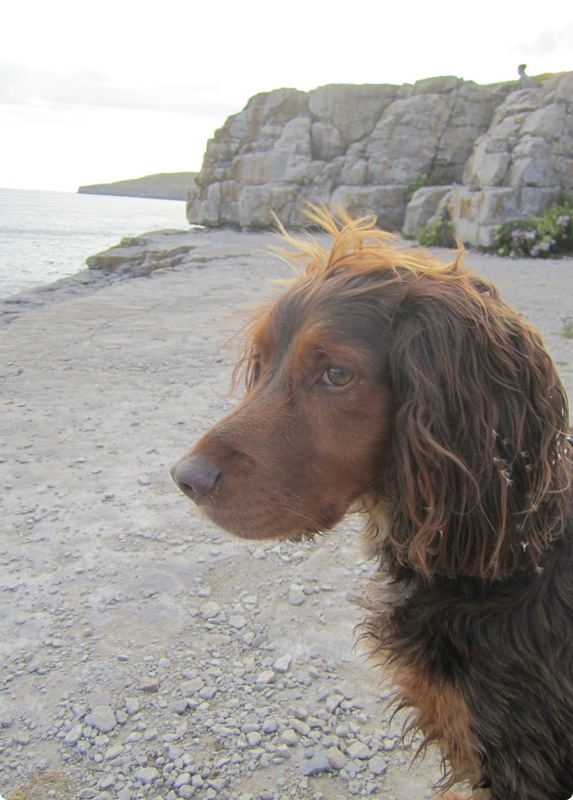 Sadly, dogs aren't allowed on the beach in high season (we had Bertie with us) so instead we enjoyed a bracing stroll along the front doing 'seasidey things' - popping in and out of the shops and amusement arcades. Oh, and eating blue ice cream. Naturally. Oh bugger. Absolutely no willpower, that's my problem! One of the reasons we love Dorset, is it's rugged coastline. 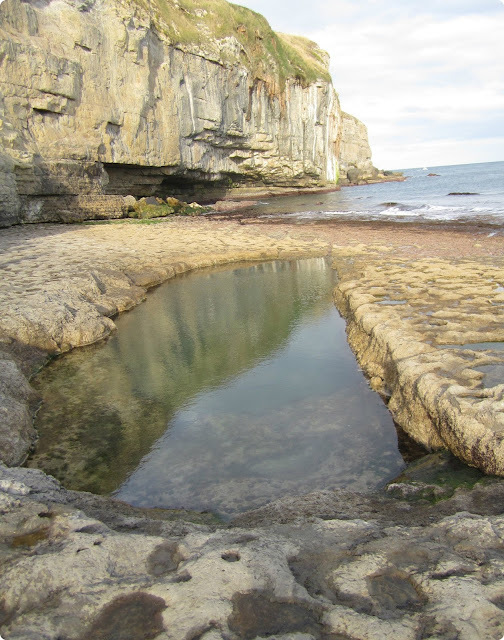 On Saturday, we decided to explore, starting with Chapman's Pool, a rough-cut horseshoe-shaped cove in the landscape. 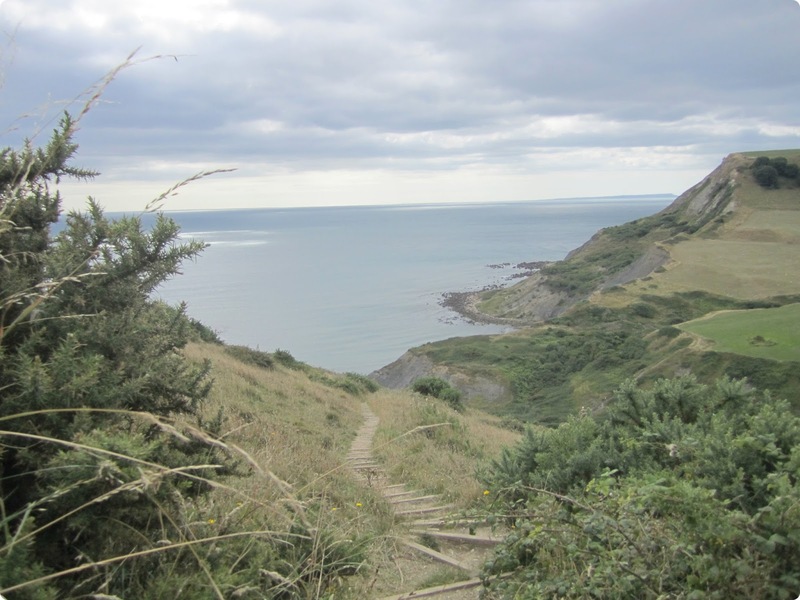 It's completely inaccessible by car so is a bit of a trek to say the least and pretty treacherous at times I can tell you (particularly if you are a dithering townie wearing flip flops, ahem!). The views, however, as you descend are breathtaking. I don't know if you can tell from the photograph above but there was a rockfall, right in front of our eyes, on the opposite side of the cove. I've never heard anything quite like the booming noise it made. It was really quite frightening, a real reminder of Mother Nature's might. Can you see the teeny tiny shapes of the people to the left of the picture? They didn't hang around long afterwards! 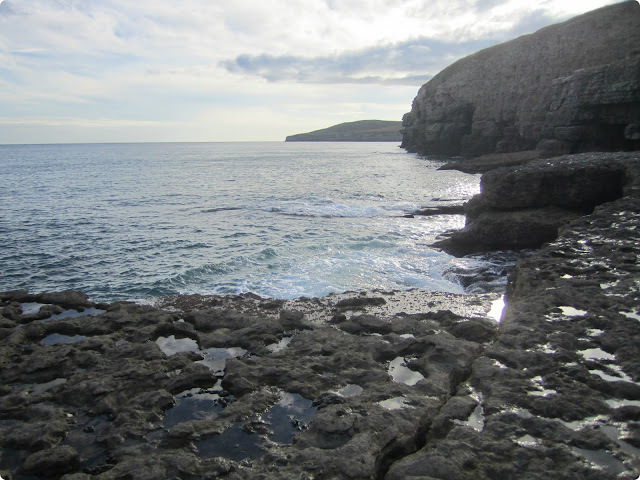 After climbing back up to the coastal path, we headed for Dancing Ledge which is a large, flat shelf of rock at the foot of a small cliff. 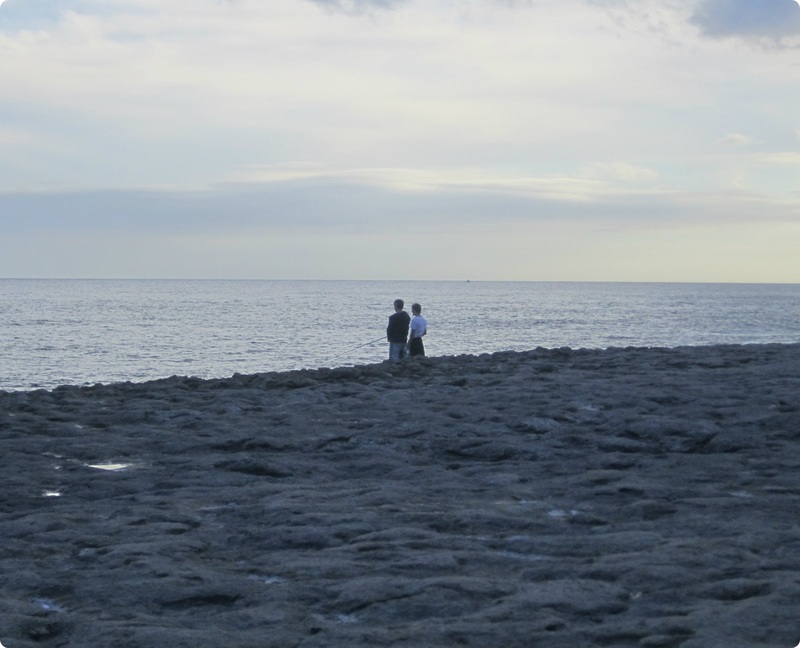 There is no shore, the sea simply 'dances' up to and around the ledge. A small 'swimming pool' was blasted in to the ledge in the early 1900s for the use of local Prep schools, after it was considered far too dangerous for the children to swim in the sea. "One of the things that Darrell liked best of all was the big swimming pool down by the sea. 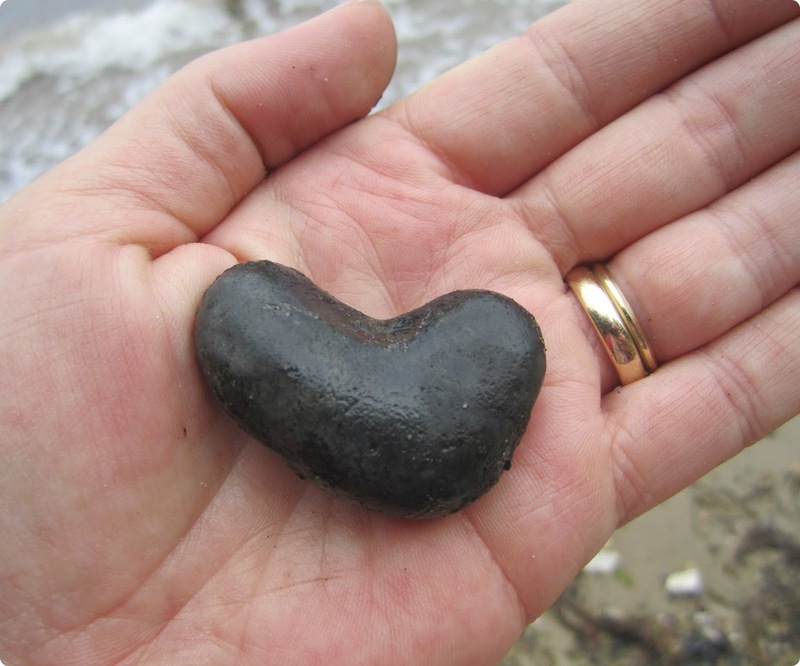 This had been hollowed out of a stretch of rocks, so that it had a nice, rocky, uneven bottom. Seaweed grew at the sides, and sometimes the rocky bed of the pool felt a little slimy. But the sea swept into the big, natural pool each day, filled it, and made lovely waves across it." We spent our last morning at one of the sheltered beaches of Studland Bay where Bertie was free to frisk. We pottered, paddled and looked for treasures. 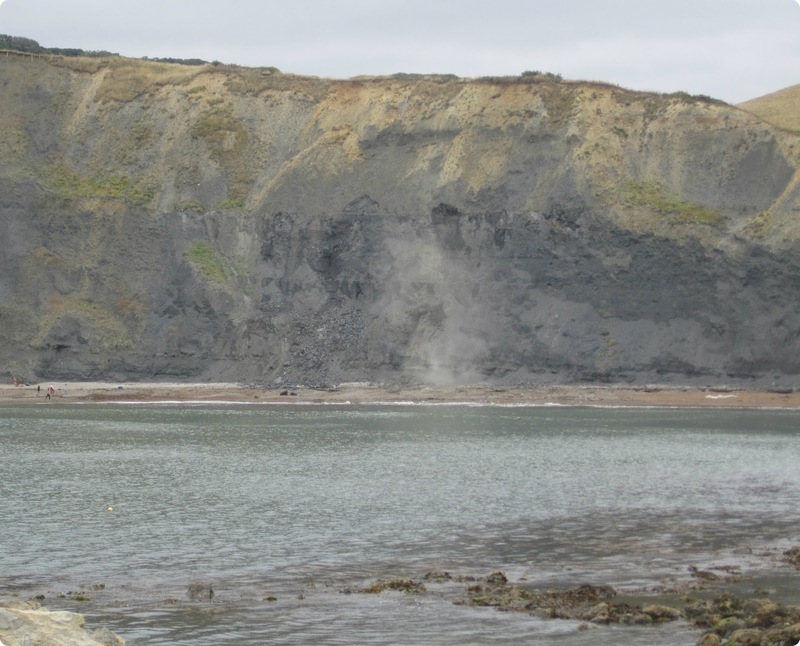 Enid's company, set up to manage her financial affairs, bought the Isle Of Purbeck Golf Club at Studland in 1951. Enid and her husband were very keen golfers. 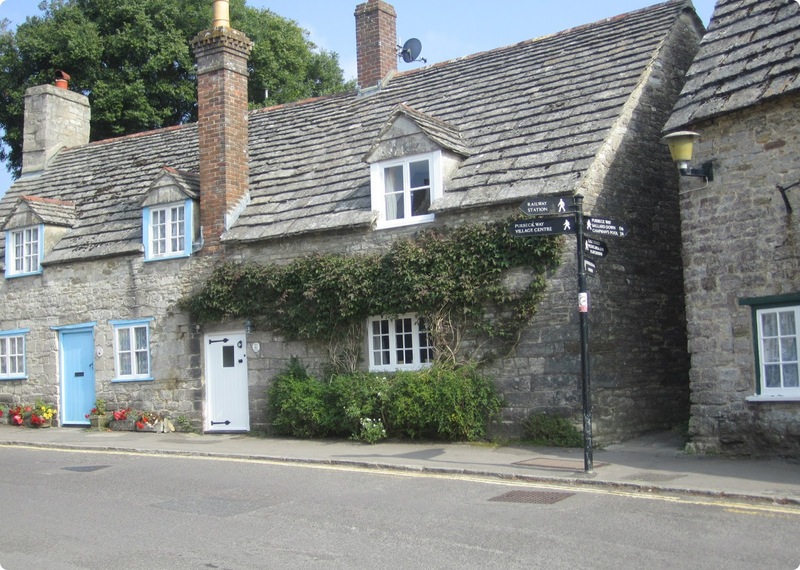 Studland was Enid's inspiration for Noddy's Toy Town and PC Plod was based on a well-known, well-liked, local policeman of the time, PC Christopher Rone. The children go back to school on Thursday. I'm not sure I know where the time has gone. I have to say, it's been a wonderful summer. I feel more inclined to welcome autumn having had a good fill of long hazy days and plenty of sunshine, don't you? 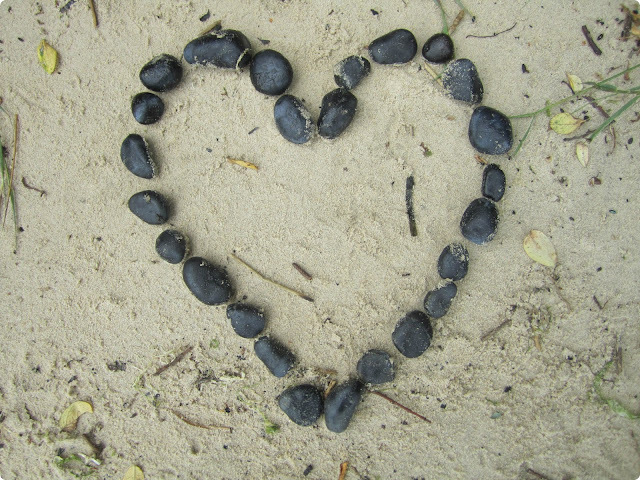 Thank you so much Heather for sharing your brilliant, wonderful holiday with us and the beautiful pictures. Oh you brought back so many fond memories of Enid Blyton for me. What a brilliant book must look out for it. Thanks for the trip down memory lane - I absolutely LOVED all Enid Blyton's books! 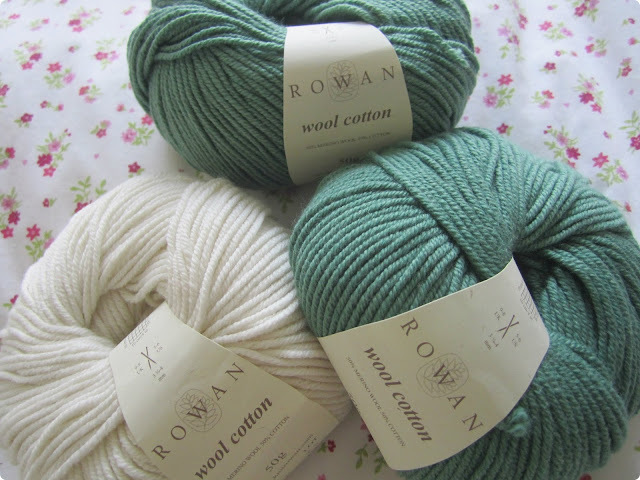 Lovely pics too - thanks for sharing them. Your holiday sounded lovely and Corfe looks delightful. 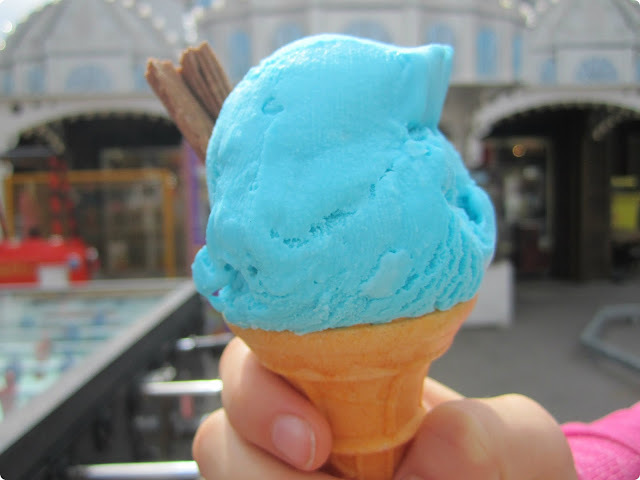 What flavour are blue icecreams? Glad you've enjoyed Summer and haven't been cheated out of some lovley, warm weather. Hi There,What a lovely real story tour you took us on!! !I loved everything on your lovely little holiday!! !What a beautiful place!! !Have a great day!!! I can not believe this post. We lived in Church Knowledge. Harmans Cross and Swanage where we both taught . Me at St Marks and my husband at Mount Scar. And I have fallen under the temptation of THAT wool shop. But I never knew of the connection to Enid Blyton. I loved , loved,loved her books too. What a gorgeous, gorgeous post. It brought back lots of happy memories of when we went camping in Corfe a couple of years ago. It's such beautiful countryside isn't it and we really felt like we'd gone back to Famous Five times as well - we even drank lashings of ginger beer! We took a trip on the steam train from the bottom of our camp site to Corfe and got ridiculously excited about the whole thing. Your pictures capture it just perfectly. Love this post ... all that's missing is 'lashings of ginger beer', which to be fair, I don't think ever actually featured in one of Enid's books! 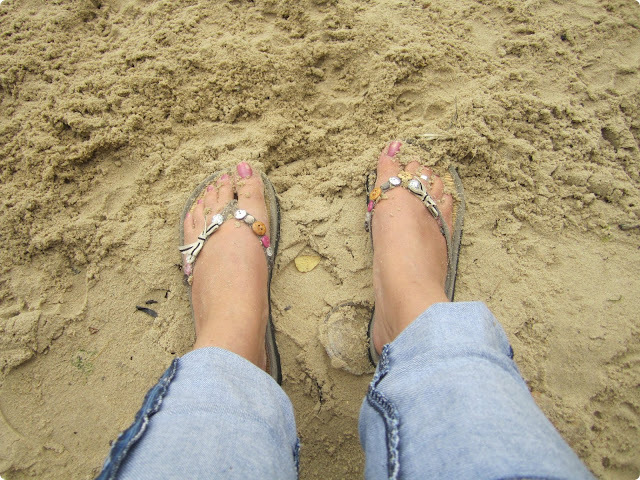 Love Enid Blyton, love Dorset, ADORE your button-festooned flip-flops! Just gorgeous - love Dorset, love Steam Trains, love Enid Blyton. Looks like you found Fortes - my favourite icecream place! I too lived and taught in Swanage for a while. Still live nearby and my girls love that steam train ride. 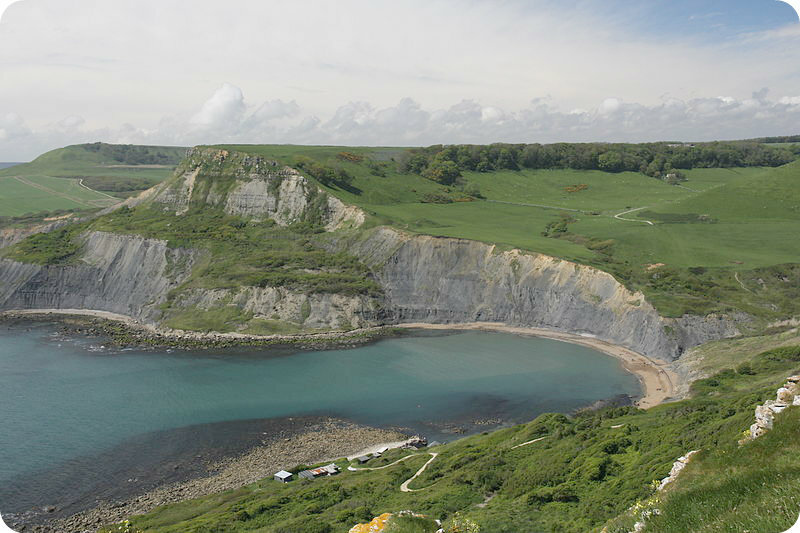 Thanks for sharing and reminding me how lucky I am to live in Dorset. I think sometimes I just take it for granted! I love Dorset. This took me down memory lane. As for Enid Blyton, my best friend and I would spend hours playing adventure games, fueled by whichever Enid Blyton book we were reading. Happy days! Looks like you had a great vacation. We don't go back to school till the 9th here & we broke up on June 24th!!!! It's been a long summer & I'm running out of ideas to entertain the kids. Even they're getting board of the beach! Loved this H even if up have never read an Enid B's book in my puff. I am not ready for Autumn, feels like we barely had summer up here! Boohoo. Wonderful post, Heather! We visited Corfe Castle a few years ago and I bought the same book! But your post and all the Enid Blyton references really brought it all to life. 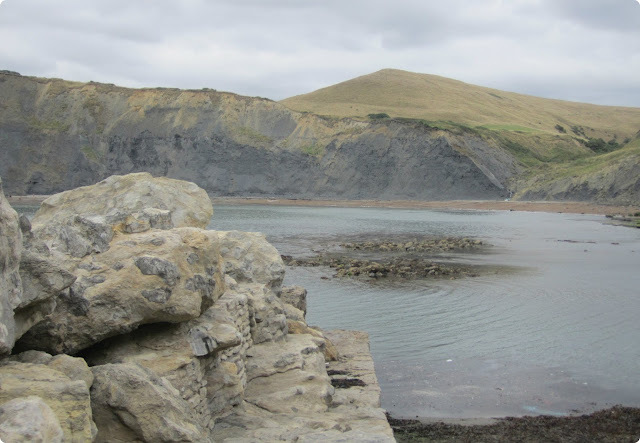 Lovely photos too....thank you for sharing, and reminding me to go back to Dorset very soon! What a fab post Heather. I was a huge Enid reader as a child but I'd no idea of all the places and inspiration for the stories. Many of those places were visited on our family holidays as a child too. I shall certainly think of Enid next time I'm down that way!